People are often injured while visiting someone else’s property or residence. This can result from improper maintenance, failure to provide notice of a defective condition or failure to remedy or fix a defective condition within a reasonable period of time. These cases are often very difficult to resolve with success. As a premier personal injury law firm in California, Hales & Associates, A Professional Law Corporation has handled dozens of premises liability cases. Whether you were injured on commercial or residential property, we have the experience in this area needed to maximize your recovery. It is the responsibility of premise owners to provide a safe environment for anyone who has been invited onto their property. 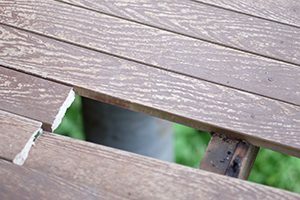 These owners can be held liable if you have been hurt due to conditions that are unsafe, such as poorly maintained sidewalks, potholes, falling objects, inadequate lighting, uneven surfaces, faulty fencing or locks, defective drains, or any number of other failures to provide safety. If you are injured due to owner neglect, call us immediately. Keep in mind that property owners can be held liable even if they were unaware of dangerous conditions. Hales & Associates, A Professional Law Corporation serves those seeking compensation following premises liability injuries in Temecula, Murrieta, Wildomar, Menifee, Sun City, and Lake Elsinore. Call us at (951) 489-3320 to speak with a trusted attorney.